Why Do Americans Hate Evolution? This February 12th marks the 200th birthday of two of the greatest Bible Bashers in history. Keep in mind that neither of these men grew up directly opposed to the teachings of the Bible. Both men were simply acting towards what they perceived as truth. The first man was Abraham Lincoln. Why is he considered a Bible Basher? As the father of the Emancipation Proclamation, he went against the main stream of preachers in the country at the time who used the Bible as justification for the continued practice of slavery††Yes, the God of the Bible endorsed slavery as a quick reference will point out. And no, it wasn't just an "Old Testament" thing, for Paul thought it pretty good himself. . The implications for challenging "God's Law of Slavery" could grow. For if this one part of the Biblical moral code is wrong, what else might be? Natural Selection is the theory . For Natural Selection shows that the first couple of chapters in Genesis are mythic creation stories and not a historical account. The implications for this could also grow, for if the first part of the Bible is not historical, what else might not be? Just for the record, Darwin's idea was not revolutionary. In fact, 150 years ago yesterday, Darwin joined Alfred Russel Wallace in presenting their papers and their perspective to the Linnean Society of London. But both men built upon the foundation put together by other previous scientists. It is interesting to note that no one was very excited after this meeting. However, it was Darwin's book, Origin of Species, with its brilliant prose, that brought the issue out from scientific circles and into the parlors of the common man. This book helped to transform the consciousness of people. And it didn't take long before the controversy began… and it hasn't abated. I think it is interest that two men born on the same day, one revered and the other reviled, but both having similar effects and changing the landscape of the modern world. Today, while getting my haircut, I mentioned the fact that Abraham Lincoln shared a birthday with Charles Darwin, and my "hair cutter" replied, "Who's Darwin?" This surprised me for I assume with all the press, Charlie Darwin is somewhat a celebrity, and Americans just love controversial celebrities. Sure, I wouldn't expect most Americans to remember Carl Sagan or Stephen Hawking, even though I would assume they were/are celebrities. 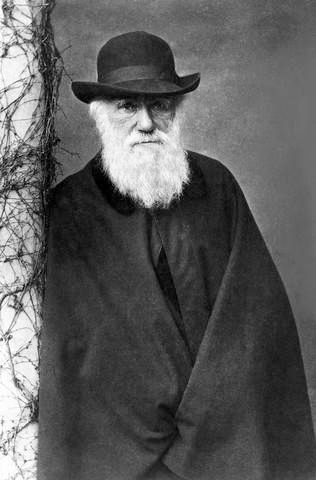 Maybe America and Europe are not so different, for in much of Europe, Darwin isn't seen as a radical, but as just another dead white scientist. After reading Olivia Judson's essay, I decided to finally read the book myself. I picked up a used copy at Powell's and went through the first few chapters. It is really a tough read for me, but not due to the language. The language, while more formal, isn't too difficult, but the densely packed text with a small font is just too much to bear for an old man with bad eyes. Good thing Origin of Species was written before Mickey Mouse, so it is out of copyright, and there are a number of "text" versions online, including the entire collection at Darwin's Official Site. Originally written on 2 July 2008.